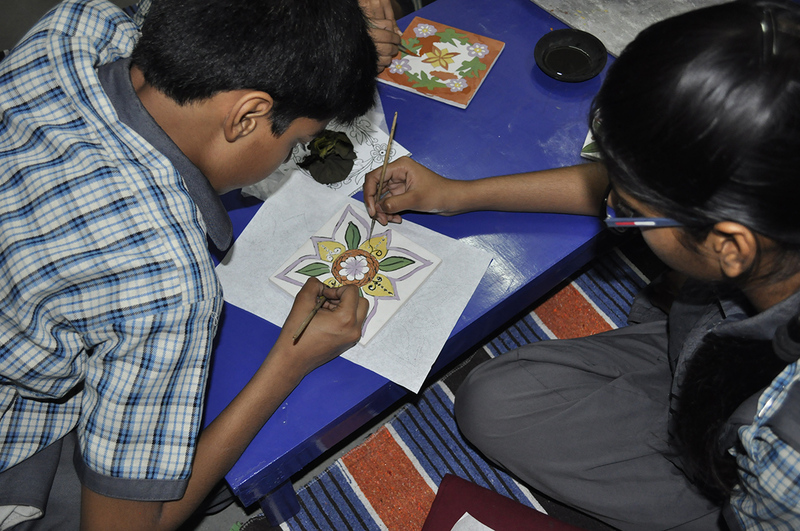 Around 240 blue pottery tiles based on a variety of historical themes like – Vijayanagar Temples, Mughal Art, The Ramayana, Asoka Pillar, Mirabai Divine series and much more have been prepared by students of Jaipur schools. Over 200 students from 10 schools took part in a blue pottery workshop and learned the craft, process and history of blue pottery. 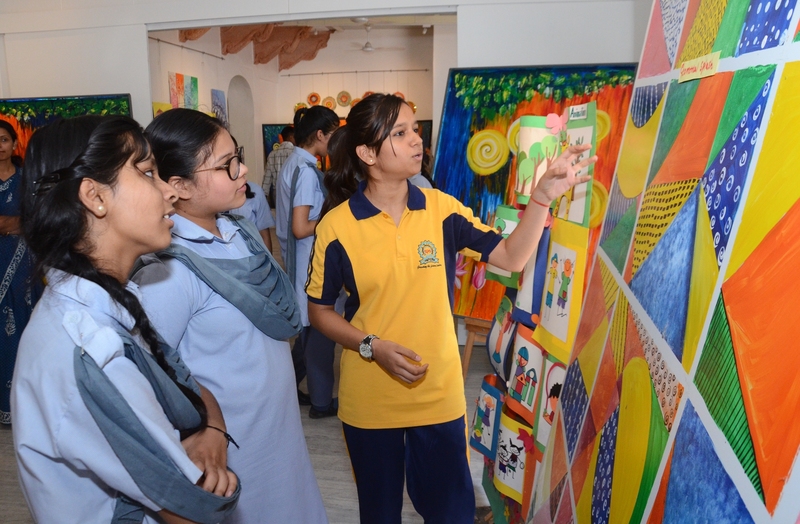 The workshop was organised by organised by Maharaja Sawai Man Singh II Museum Trust in association with Neerja International with the objective of using crafted tiles as pedagogy to teach history. 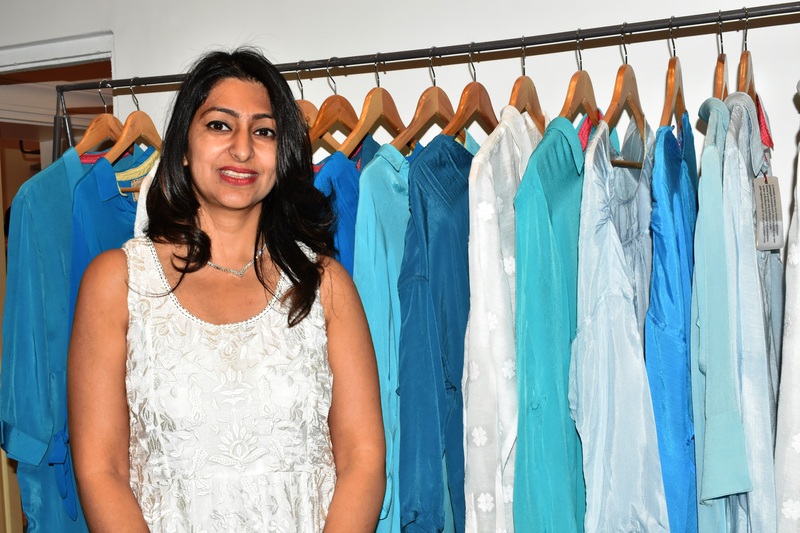 The initiative targets around 400 tiles to be readied and exhibited at the forthcoming Jaipur History Festival in December at City Palace. In groups of 15 to 18 per school, the students visited the manufacturing unit at Neerja International for two days. On the first day they were shown two films –History and Making process of blue pottery and visit the unit. After this they would draw on the tiles and finish the cobalt work. This was informed by Director, the City Palace, Jaipur, Mr. Yunus Khimani. He further said that on the second day, the participants coloured the tiles using a variety of brushes, strokes movements and light and dark shades of colours. It is to be recalled that earlier the principals and art teachers of these school participated in an orientation workshop. They were also taken to the manufacturing unit and shown the process of making blue pottery products to instruct and guide their students. The orientation programme was held on behalf of Maharaja Sawai Man Singh II Museum Trust, Mrs. Rama Datt, Executive Trustee, Mr. Yunus Khimani, Director and Mr. Sandeep Sethi and Mrs. Leela Bordia briefed the audience and explained the program.More schools will be joining after their summer break. The underprivileged schools are being supported by INTACH.